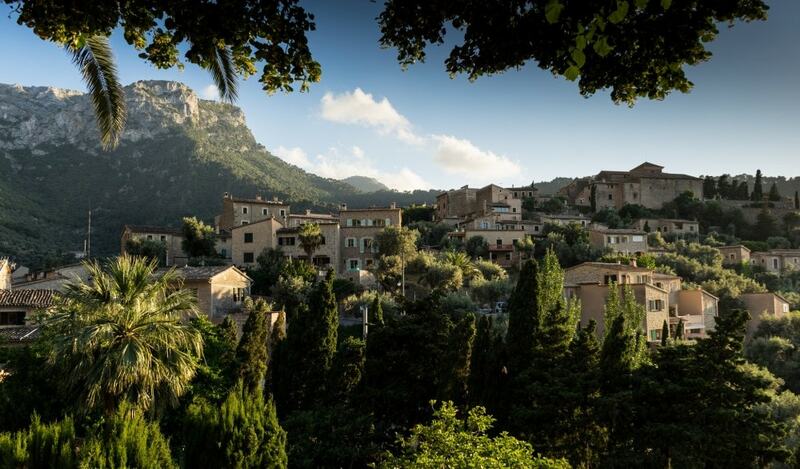 Situated in the heart of the Sierra Tramuntana mountain range in the midst of landscape dominated by olive and almond trees, Deia is one of the prettiest and most romantic villages not only in Mallorca but also in the whole world. Deia property can revel in spectacular views in amongst idyllic countryside. Traditionally focused on the agriculture and fishing, in the 1970s the village grew in fame with international visitors, but always preserving its laidback atmosphere. For this reason, this idyllic area has become a destination for many people and celebrities, including famous artists, writers and other creatives, attracted by its charm and unique location. Today, this once modest small town is a residence and tranquil hideaway for a number of wealthy individuals, whose homes are amongst the costliest ones in Mallorca. The average price for an apartment in Deia remains on the same level as Western Mallorca overall – Average price per sqm. in Deia €5,416 0% properties#: 1 last change on: 23 Apr 2019 €5,416 per square meter. On the other hand, the average price for a house on Deia property market hovers around Average price per sqm. in Deia €6,530 0% properties#: 49 last change on: 23 Apr 2019 €6,530 per square meter, while investment is available for Average price per sqm. in Deia €5,530 0% properties#: 5 last change on: 23 Apr 2019 €5,530 per square meter. 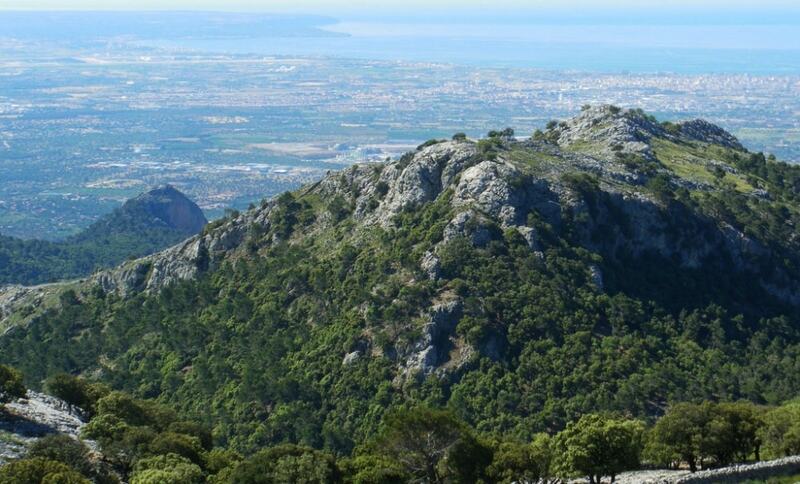 Magnificent Tramuntana mountains provide stunning views of the Mediterranean Sea. This highly appreciated privileged position raises the average price for a house in the area. The most renowned real estate agencies operating on Deia property market are Engel & Völkers, Charles Marlow and Balearic Properties. These agencies provide the highest number of listings in the area. 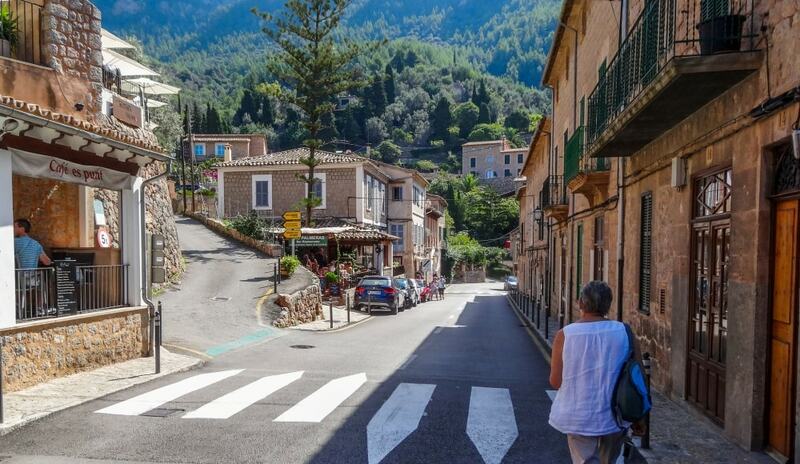 Popular Deia property includes the renovated traditional fincas, green-shuttered and ochre-coloured classic houses and beautiful modern villas. 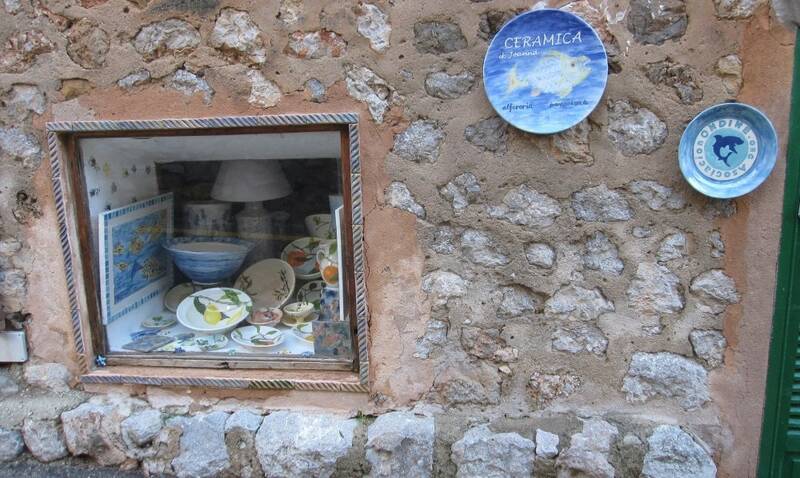 Most of the visitors and second-home buyers choose Deia for its cultural heritage. Also, with its strong population of expats, including the descendants of many bohemian artists, it has become a multicultural community. This incredible village will impress you greatly with its relaxed, friendly, inspiring and a little eccentric ambience. Notably, the number of foreign residents in the area is now almost half of its population. This enables you to get around with the English language quite well. 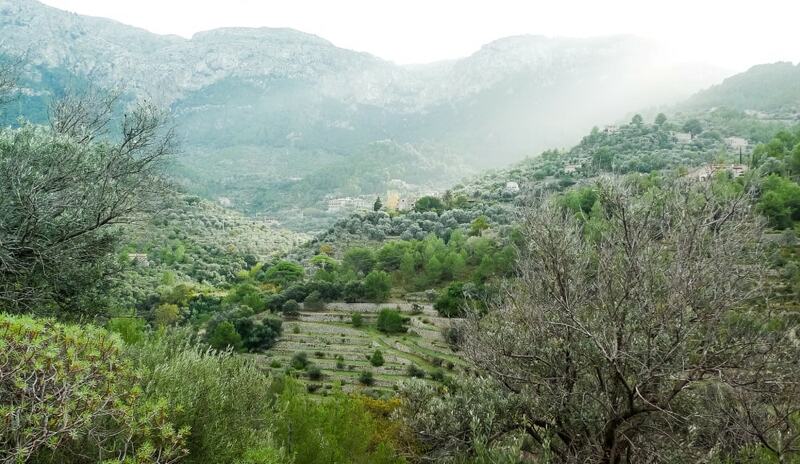 Deia property owners can also rest easy knowing that their precious village is protected from any significant changes due to the Tramuntana’s World Heritage Site status. The majority of the inhabitants share the need to maintain the privileged natural surroundings they have. 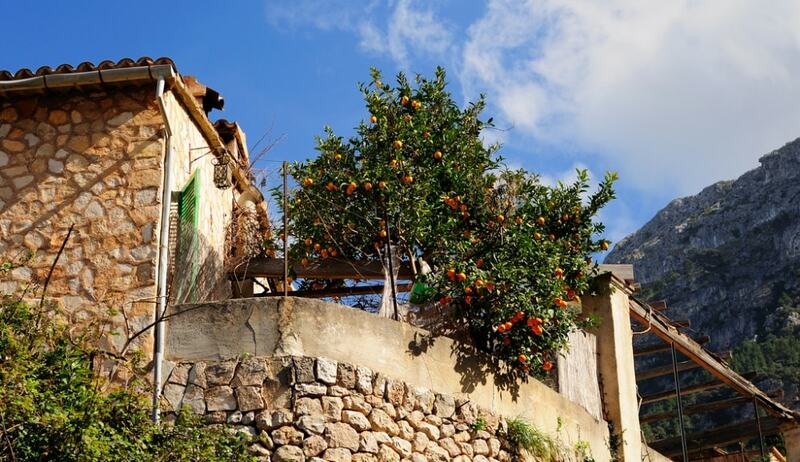 The old centre of Deia is surrounded by traditional terraces, cultivated for centuries with olive and citrus groves. The cobblestone streets are very narrow and steep, with sympathetically renovated old stone houses nestling in these tiny alleys. The town is topped by its ancient fourteenth-century parish Church of San Juan Bautista, standing proudly on the hill with impressive views over the valley. It serves Mass on weekends and the most beautiful wedding celebrations for people from all over the world. In the churchyard, you find the most beautiful cemetery in the area of Mediterranean. It is the final resting place for many renowned inhabitants of Deia. The horizon above the village is dominated by the imposing mountain of Puig des Teix (1064 metres high), which opens up spectacular views out to the crystal sea below. Adding the breathtaking Mediterranean views against the sparkling blue sky or at sunset with red, pink and orange shades that flood the mountains makes it a privileged area for many people. Much of the Deia’s charm lies in its laid-back vibe and blissful surroundings, which is why most visitors come here for relaxation. Sitting on terraces and admiring the impressive views of the blue sea and stunning mountains is pretty much what it is all about. The rich landscapes in and around Deia also makes it a rewarding area for walks, allowing you to enjoy nature all year round. 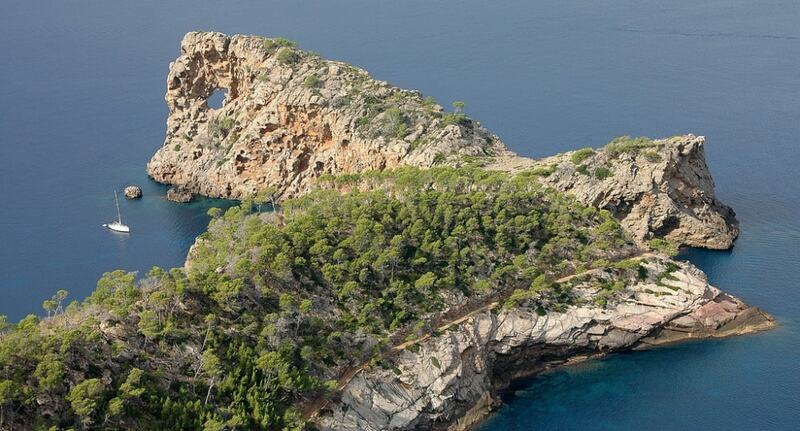 It is a perfect base to escape into the Sierra de Tramuntana mountains along the extensive network of footpaths and ancient mule tracks that cover this part of the island. There are many lovely roads and trails ranging from simple to more challenging to follow over the mountains. 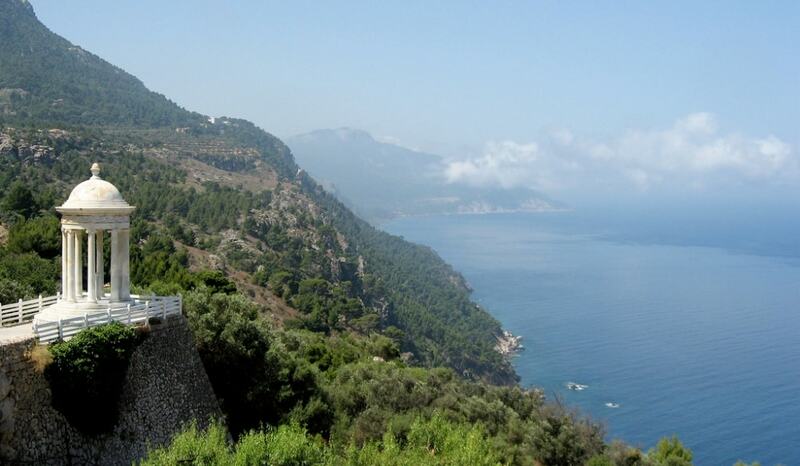 Well-established hiking routes include those that lead from Cala Deia to Port of Soller via Llucalcari, Miramar monastery, and a walk to Sa Foradada, a magnificent peninsula with a stunning lookout point. The coastal road with its twisting ups & downs is especially popular with cyclists. For tennis players, there is a good council-run tennis court. The hotel La Residencia also has two courts available for booking by walk-in clients. Players willing to improve their skills can train with the popular resident coach Shayne Tabb. 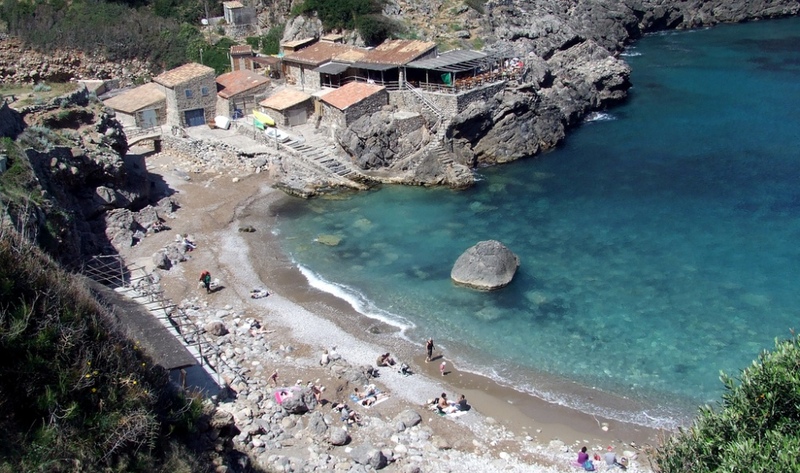 Deià has several wonderful beaches where you can relax and unwind in the sun. 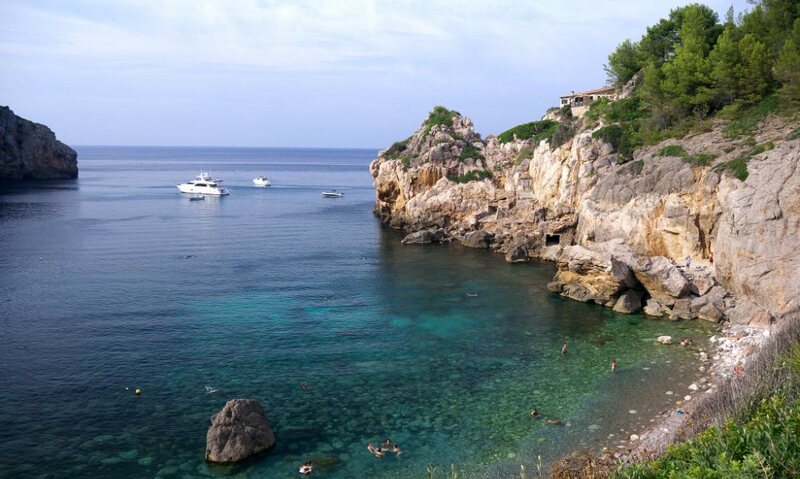 A thirty-minute picturesque stroll surrounded by olive and lemon trees from the village takes you down to Cala Deia. This is a small gravel beach set in a beautiful rocky cove. 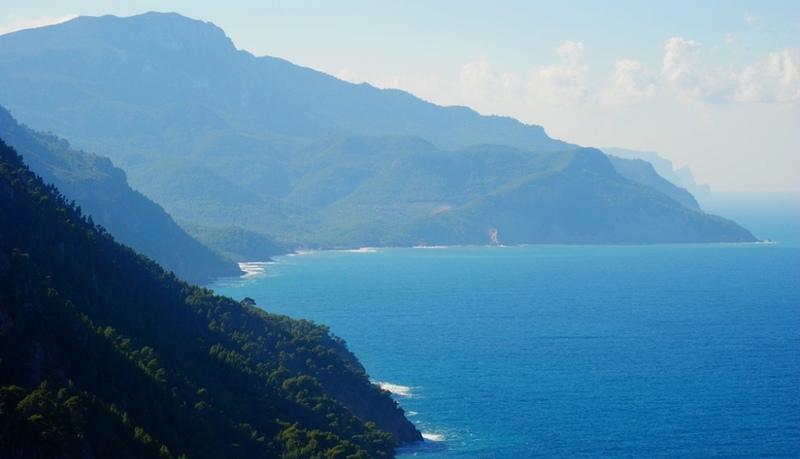 The rugged cliffs curving around the bay and sapphire blue colour water make it feel like a hidden paradise. There are two excellent restaurants, Can Lluc, right on the beach, and Can March, above the rocks, known for the fresh fish as their specialty and spectacular vistas. The insider’s tip: Cala Deia provides a very good and quiet place to anchor the boat from where you also have beautiful panoramic views over the whole bay and mountainous surroundings. The other beach, Es Canyeret (also known as Platja de Llucalcari), lies just under three kilometres away and is accessible only by foot or boat. This small rocky cove is popular for its natural mineral rich mud baths, found next to the fresh water stream. 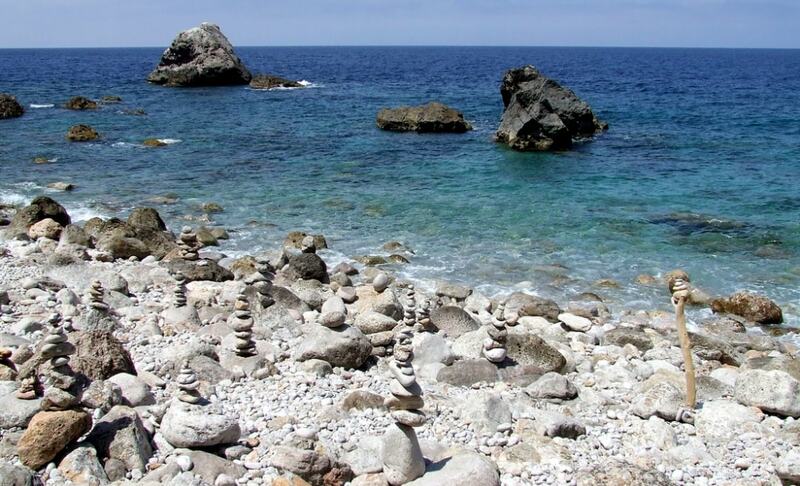 Llucalcari is a nudist beach and has a thoroughly chilled out ‘free spirit vibe’. The both beaches are a perfect heaven for snorkeling as their waters are exceptionally crystal clear. Although small and still keeping a village atmosphere, Deia has a varied selection of eating and drinking places, ranging from the most top-notch restaurants to charming and casual bars and cafes. Of particular note, Michelin-starred restaurant Es Raco D’es Teix boasts a splendid setting in the upper part of the village and serves modern yet classic dishes of the Mediterranean cuisine. A classy El Olivio is also one of the finest restaurants in Mallorca that offers a superb gastronomic experience. Café Sa Fonda is the spot to head to for a drink or two, with music performances and jamming sessions regularly featured on its terrace in summer. Also notable is the nearby restaurant of Mirador de na Foradada with spectacular views over the headland of Sa Foradada. Foodies will also love Es Forn – the small local grocery store, filled with local produce and gourmet goodies. Notably, for second-home buyers, Deia property market is a very convenient base for a short or long stay. Among the facilities, here you find a small but quite well-stocked supermarket, a very helpful English speaking chemist and a few banks. 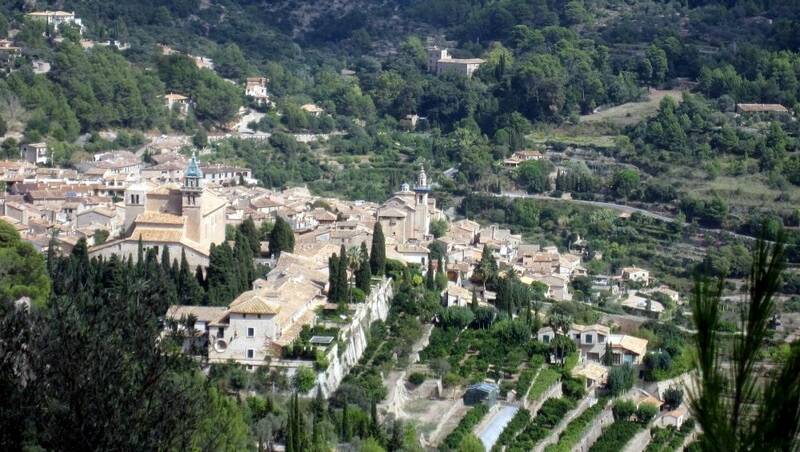 Moreover, the village is located approximately forty minutes’ drive away from the hustle and bustle of the cosmopolitan Palma, with its beautiful historic Old Town and impressive Cathedral, excellent art venues and restaurants. It takes the same distance to reach the PMI international airport as well. Small Deia hosts some of the most excellent hotels. 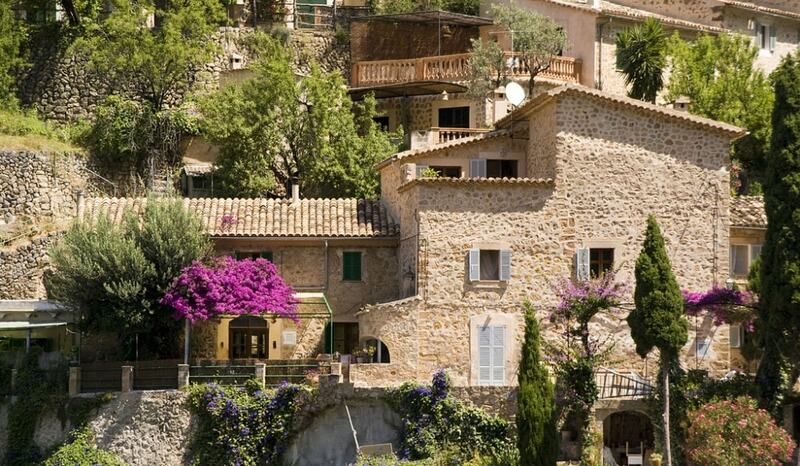 The most famous is the five-star La Residencia, a chosen haunt of A-listers, models and musicians. Previously owned by the businessman Richard Branson, it now belongs to the iconic Belmond hotel group and offers luxurious lodging and services. The Hotel is constantly featured in the lists of ‘World’s Best Hotels’, and for good reason. Well-known for providing exceptional hospitality in a gracious setting, it’s a small piece of paradise on Mallorca, with a superb spa, a fine restaurant and great tennis courts. Over the last hundred years or so, the little village has a built a reputation for is its bohemian lifestyle. 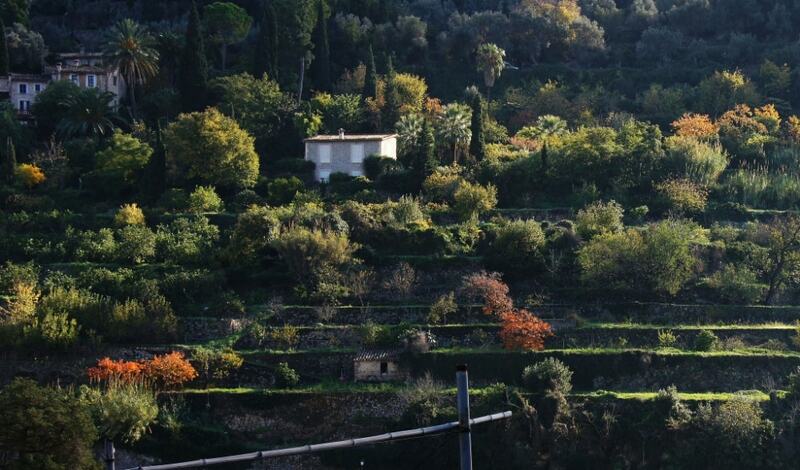 Its idyllic landscapes of orange and olive groves perched on steep cliffs served as a hideaway for many German, English and American artists, painters and musicians. They have established themselves here to admire the inspiration of this peaceful and beautiful place. One of the first prominent visitors was the Archduke Luís Salvador of Austria. He was so fascinated by the location that he acquired some estates – Miramar and Son Marroig. Nowadays, they host annual concerts and festivals and are open to the public. The English novelist and poet, Robert Graves, was also one of the first prominent expats to settle down here in 1932. It could have been just another charming Mallorcan village had Graves not decided to make Deia his home, which played a big part in many of his stories. Although times have changed, Deia still welcomes a number of celebrity guests and residents from all over the world. They include the aforementioned Richard Branson (whose son even named his daughter after Deia, considering it as one of the world’s most beautiful villages), Michael Douglas and his wife Catherine Zeta-Jones, Pierce Brosnan, and music stars like Mick Jagger, Mike Oldfield and Mark Knopfler. Also, the Spanish painter Pablo Picasso spent some time here. Today, it is still pretty much an artist’s town and here you find a variety of interesting art galleries, handicraft shops and privately owned boutiques. Scattered throughout the village, all are impressive with their own uniqueness and bohemian touch. Apart from the outstanding natural surroundings, culture venues and art galleries, Deia hosts notable museums, such as a small but excellent Archaeological Museum set in the old mill, the museum devoted to the Boston-born painter Norman Yanikun, the Parrish Museum and the House-Museum of Robert Graves. The town also gives its name to a prominent annual musical event – the Deia International Music Festival. During this venue, many concerts taking place every summer at Son Marroig. Since 1978, this award-winning cultural event provides a host to an impressive number of international classical musicians and orchestras. On June 24, the village also celebrates the fiesta of its patron saint Sant Joan Baptista. This way, if you are looking for a tranquil base with the unique Mallorcan flair combined with the quality living then Deia property market is the ideal second-home location.